Lisa Tucker is the author of six novels: The Song Reader, Shout Down the Moon, Once Upon a Day, The Cure for Modern Life, The Promised World, and The Winters in Bloom. Her books have been published in twelve countries and selected for Borders Original Voices, Book of the Month Club, the Literary Guild, Doubleday Book Club, People magazine Critic’s Choice, Redbook Book Club, Amazon Book of the Year, Barnes & Noble Reading Group program, Target “Breakout” Books, Books A Million Fiction Club, the American Library Association Popular Paperbacks, the Book Sense list and the Book Sense Reading Group Suggestions. Lisa has been a guest on the CBS Early Show, the public radio program To the Best of Our Knowledge, the BBC, the Associated Press show Between the Lines, and the syndicated cable program Connie Martinson Talks Books. She has been featured in The Philadelphia Inquirer, St. Louis Post Dispatch, The Los Angeles Times, Albuquerque Journal, and Publishers Weekly, and in a variety of magazines and newspapers around the world. New: Lisa’s essay in The New York Times, on writing The Winters in Bloom--and being diagnosed with a brain aneurysm. Lisa talks with Tania Caselle of SOMOS about The Cure for Modern Life and the writing process. Lisa talks with Heidi Holtan of PRX about Once Upon a Day. Lisa discusses poverty and social class in Shout Down the Moon on the public radio program, To The Best of Our Knowledge. Other guests include Alain de Botton, Nick Flynn, Mark Robert Rank, and Robert W. Fuller. Lisa talks about The Song Reader on To the Best of Our Knowledge “song” hour. Other guests include David Cantwell, Bill Friskics-Warren, Dave Edmunds, and Cecil Brown. Lisa grew up in Missouri. After graduating from the University of Pennsylvania, she went on to receive graduate degrees in English and mathematics and was awarded fellowships in both fields. 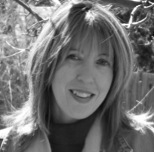 She has taught creative writing at the University of Pennsylvania, the Taos Writers’ Conference and UCLA. Lisa has given readings and talks all over the country, including at the Squaw Valley Community of Writers, A Room of Her Own Foundation/Ghost Ranch, the Southern Festival of Books, the Miami Book Fair, and Book Expo America. Her short work has appeared in Seventeen, Pages, and The Oxford American. She currently lives in Philadelphia. “A gifted writer with a wide range and a profound sense of compassion for the mysteries of the human heart."